How a Personal Injury Case Process Works in Florida | DeLoach, Hofstra & Cavonis, P.A. Posted on 06/07/2016 Have You Wrongfully Lost A Loved One? In Florida personal injury cases, injury clients are often thrown into the deep end of the pool. Many have never had to deal with the complexities of the legal system before, and those who are expecting quick and fair resolutions to their case, are often disappointed. 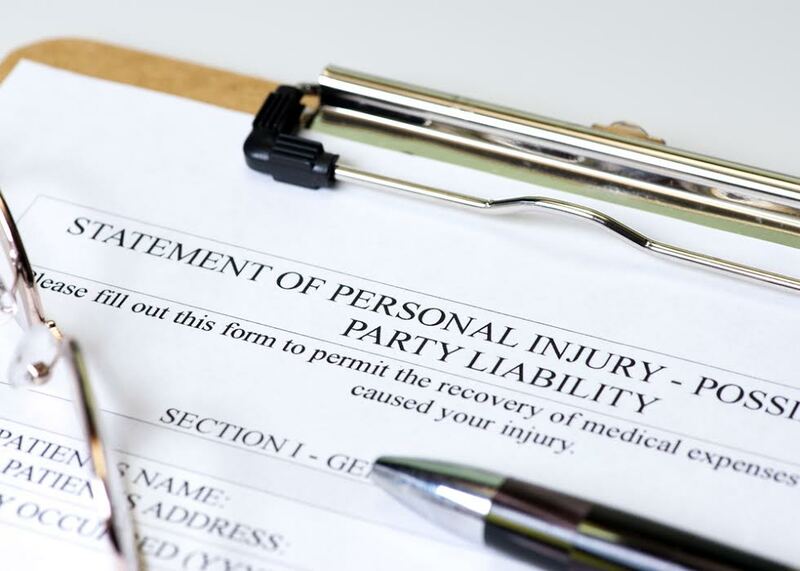 There are many different procedural steps that must be taken before injury clients can receive a settlement, and preparing yourself for the process ahead of time can alleviate some of the frustration of settling a personal injury case. After you hire an attorney, the first thing he or she will do is notify your insurance company and the person you are suing (the defendant) that you're now represented by counsel. Then your attorney gathers evidence on your behalf and shows you how to preserve any evidence you receive while you're undergoing medical treatment. Your attorney takes a detailed account of your story, talks to any witnesses, and reviews all necessary documentation—such as accident reports and medical records—to determine the settlement value of your claim. Your attorney will then send a demand letter to the defendant, explaining the extent of your injuries, how much they have cost, and why you are entitled to payment. If the defendant refuses to pay, your attorney will likely file a lawsuit. Filing suit. The lawsuit begins with the filing of the “complaint,” and official notice of legal action sent to the defendant. The defendant then files a response to the lawsuit called an “answer.” If the defendant believes your case isn't valid, he may also file a “motion to dismiss,” which asks the court to drop your case completely. Discovery. After the complaint and answer have been filed, both parties begin the process of discovery. In discovery, both parties may ask questions and seek information from each other and from witnesses, allowing them to get a sense of what really happened and identify any weaknesses in the stories of both parties. Your attorney protects you during discovery by objecting to questions that aren't permissible and filing motions to get other parties to answer questions if they refuse. Depositions. A deposition is a detailed question and answer session given under oath with both attorneys present. It usually takes place in a lawyer’s office, and is transcribed by a court reporter for later use in court. The opposition’s attorney asks you questions, and your attorney deposes the defendant. Depositions can greatly impact your settlement, as they allow both parties to see how each witness performs under questioning and which pieces of testimony could impact a jury. Expert witnesses. If the defendant denies liability for the accident or protests the amount of damages, it may be necessary to bring in expert witnesses. Medical experts may be asked their professional opinions of the limitations of an injury; an accident reconstruction expert might explain cause and effect in a crash case; and so on. Settlement negotiations. Throughout the entire process of the suit, your attorney and the defendant’s attorney discuss settlement offers. If you take the settlement offer, the case is over and you receive payment. If you don't accept, the case goes to trial. Trial. A trial can take anywhere from a few weeks to several months, depending on the complexity of your case. Our attorneys provide legal assistance to all injury clients on a contingency fee basis, allowing them to get proper compensation without taking on court costs. Contact us today to speak to a member of our legal team about your case.